It's hard to believe, but Star Wars Celebration VI was not the most exciting event in my August. For as big as Celebration was, it was outmatched by a cross-country move from Ohio to Seattle, WA. The opportunity to change work assignments and spend a few years in the Pacific Northwest was just too great to pass up. Seattle is the home of Boeing, Coffee, and now From World War to Star Wars. In honor of our new home city, here's a fun ad from 1942 promoting coffee - the amazing drink that soldiers drank at most meals and Seattle residents today can't live without. 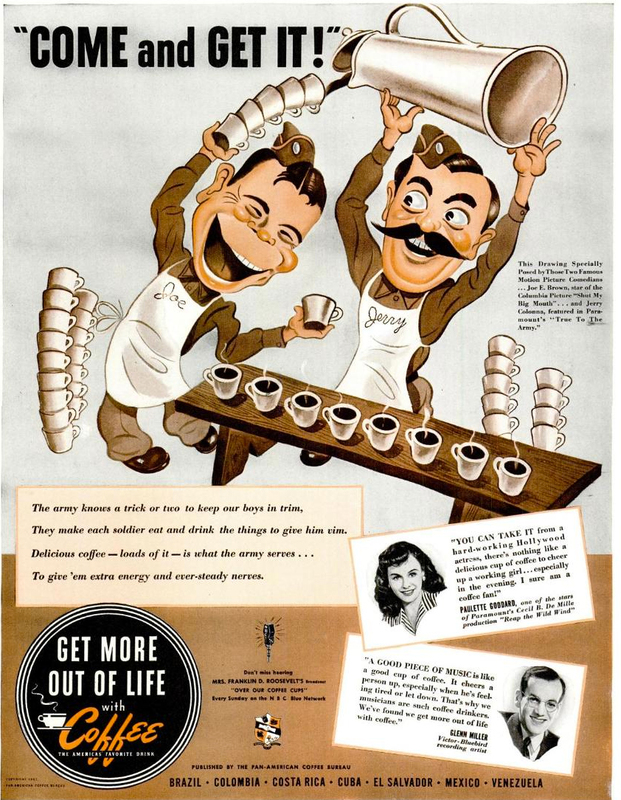 1942 Coffee Magazine Advertisement from the Pan-America Coffee Bureau.